Do you have one or several missing teeth that need replacing? If so, it’s time to talk to your dentist about dental implants. The natural look and feel of these artificial tooth replacements can give you the confidence you need and comfort of knowing you have a healthy smile. If you want to know more, here are some unexpected benefits of how dental implants can give you a new and improved smile. 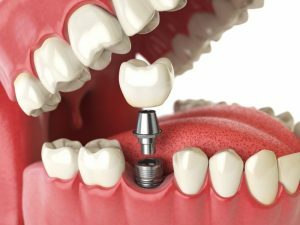 Can Smoking Cause Dental Implants In Texas City To Fail? One of the best things about dental implants is their low failure rate. In fact, they fail just 1.4% of the time. Unfortunately, however, this doesn’t apply to smokers, who have a much higher failure rate of 15.8%. There’s no question that dental implants in Texas City are a wonderful investment in your smile and overall health. But, like any investment, you want to help it perform as well as you can. 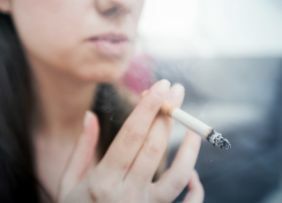 Keep reading to learn how smoking affects implants and how you can increase your chance for success as much as possible! Comments Off on Can Smoking Cause Dental Implants In Texas City To Fail? Missing teeth impact more than just your looks. They can impact every aspect of your life, including your overall health. Fortunately, dental implants can undo much of the damage caused by this common condition. For the patient, the benefits include not only a restored smile but a happier, healthier life. 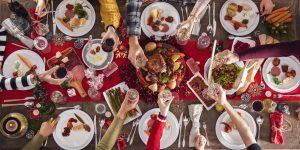 6 Ways To Have Healthy Teeth This Holiday Season From a Dentist In Texas City! It’s the holiday season, and the last thing you’re probably thinking about is your teeth. But did you know that almost 1/3 of American adults have undiagnosed cavities? Unfortunately, most people don’t feel cavities until they’ve gotten bigger and need more extensive dental work to fix. And during the holidays, all the extra candy and desserts around don’t help matters. But that doesn’t mean you can’t indulge in festive food this year! Keep reading for 6 easy things you can do to enjoy yourself, and avoid needing work from a dentist in Texas City at the same time. Comments Off on 6 Ways To Have Healthy Teeth This Holiday Season From a Dentist In Texas City! There are countless reasons that an adult may want to straighten their teeth. Many people simply didn’t have the opportunity to get braces as a teenager. Others actually did get braces, but found that their teeth shifted from not wearing their retainers. 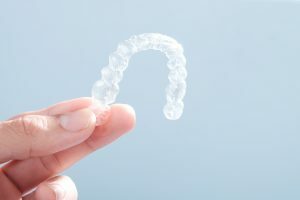 But despite wanting to straighten their teeth, many adults wouldn’t even consider getting braces because they didn’t want the embarrassment of wearing brackets and wires. Then clear braces came along about 20 years ago and changed everything! Now you can get the beautiful smile you’ve always wanted – discreetly. There are two main options for clear braces: Invisalign and ClearCorrect. Regardless of which one a cosmetic dentist in Texas City recommends, you’ll benefit from the many advantages this modern orthodontic option has to offer! Let’s Go Shopping for Dental Implants in Texas City! If you are missing teeth—whether one, several or even an entire arch—then replacement is very important for the sake of your appearance as well as your oral and general health. 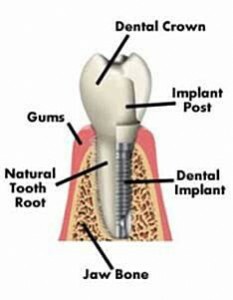 Today’s ideal choice for tooth replacement is a dental implant. This stand-alone prosthetic may cost a bit more, but its longevity and ease of maintenance could make the added expense worthwhile. 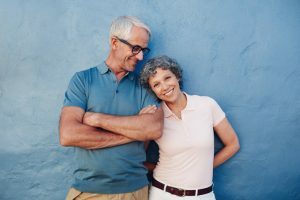 Read on for more information about the advantages of dental implants, their cost, the role of insurance and other forms of financing. Comments Off on Let’s Go Shopping for Dental Implants in Texas City! It’s just before the crack of dawn, and your alarm clock is buzzing loudly. After turning it off, you crawl out of bed and proceed to the bathroom to brush your teeth and get your day started. Will this session of oral hygiene be enough to last until the next day? 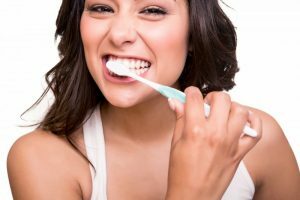 Your dentist in Texas City says, “No!” Learn why it’s vital to your dental wellness to brush before retiring for bed and discover the importance of using the right techniques. 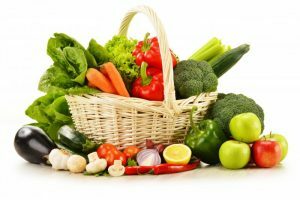 Both the vegetarian and vegan diets have gained popularity recently, with more and more people giving up meat. Although followers of this lifestyle tout the health benefits of it, your dentist in Texas City says there is a need to take a deeper look at some of the impacts this lifestyle can have on your oral health. As you read on, your preventive care expert will explain some of the possible issues with removing meat from your diet. Help! I Grind My Teeth – Your Dentist in Texas City Has Remedies! 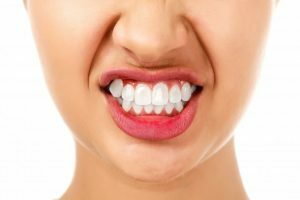 You’ve recently discovered that you have a problem with grinding (bruxism) your teeth, but you’re not sure why you’re subconsciously doing this. Furthermore, you don’t know how to fix the problem. Your dentist in Texas is weighing in to inform you of the problems associated with this habit and with information on how to get treatment as soon as possible. Learn more as you read on. Comments Off on Help! I Grind My Teeth – Your Dentist in Texas City Has Remedies! Dentist in Texas City Says Baby Teeth Matter, Too! When you look down upon your child, you can’t help but fall in love! Those pearly whites get you every time when they look up and give you that cheesy smile. A heartwarming smile isn’t the only thing baby teeth are good for though. 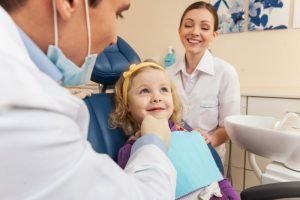 Your little one’s smile helps to lay the foundation for their permanent adult teeth to grow into, which is why your dentist in Texas City always emphasizes keeping great care of kid’s teeth from an early age. Learn more about children’s dental health in this week’s blog post. Comments Off on Dentist in Texas City Says Baby Teeth Matter, Too!